Grand Theft Auto V continues to smash Take-Two Interactive’s expectations despite nearing its fifth anniversary, thanks to the success of Grand Theft Auto Online. 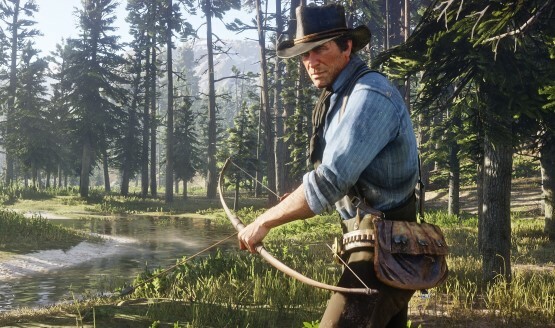 81 percent of the publisher’s Q1 revenue came from digital sales with Rockstar’s title at the forefront in a period devoid of major releases. Despite this, CEO Strauss Zelnick believes that Grand Theft Auto V sales will begin to slow down this fiscal year but it won’t be because of Red Dead Redemption 2. Zelnick said that Take-Two hopes that Red Dead Redemption 2 will attract Grand Theft Auto V players but the company isn’t expecting a “one-to-one transition.” He believes Rockstar’s cross-marketing approach is “sensible” and the ultimate goal is to keep players entertained. Red Dead Redemption 2 will release on October 26.